Ari’s work aims to visualize the unseen interface that links the human body to water. Through an exploration of the extremity of water issues in the desert, Ari’s exercises, which include a series of essays, prints, and short films, attempt to understand and communicate how physical and emotional intimacy with one's environment can nurture a future of mutual respect. Heidi Kayser's work explores metamorphosis and the shedding of layers of the body that are constructed through a capitalist ideology of self image as defined through fashion. Heidi spends time at the Noah Purifoy Outdoor Museum to find inspiration in the concepts, forms and aesthetics of Purifoy's politically motivated assemblages that speculate on a society forged in consumerist practice. The paintings of Keely Nelson-Rivers are abstract moments and are inspired by real places, emotions, and ideas. The works employ distorted perspectives and fold in seemingly familiar contexts to create a middle ground for ambiguity, pictorial depth, and undefined visions. Robert mimics the deserts refusal to hide human disregard. By Contrasting that ugliness with human potential, through the image of an astronaut and the process of make believe, he illustrates our contradicting nature. With a focus on landscapes, we couldn't think of a better artist to invite for JTHAR's November/December residency than Akihito Izumi. 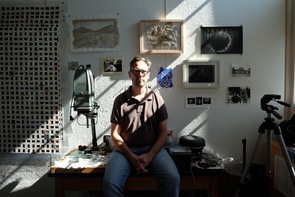 We are excited to welcome the award-winning artist John Haverty to Joshua Tree as our October/November resident. John was born in Boston and grew up in Buzzards Bay. 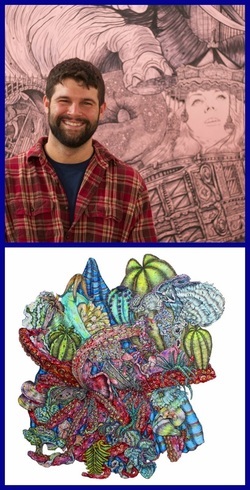 He earned his BFA from the University of Massachusetts Amherst and traveled across Europe and South America before continuing his formal training at the Savannah College of Art and Design where he earned his MFA in 2015. John is the Grand Prize winner of the prestigious Luxembourg Art Prize 2016. He has been selected as Jerry Goldstein Foundation’s 2014 Emerging Artist of the Year award and was also selected as a finalist by jury pick for Art Prize 7 in Grand Rapids. John is a former finalist at the 2012 Illustrators of the Future award presented in Hollywood. "Gangrene is collage of watercolor and ballpoint drawings that stretches over 30 feet long and 6 feet high. My art, like the infection, presents as a collage that continues to grow unchecked and organically," Haverty said. Haverty’s work has been the subject of exhibitions at the Copro Gallery, Santa Monica; Satellite Contemporary, Las Vegas; Mark Miller Gallery, New York City; Non-Fiction Gallery, Savannah; The Boston Center for the Arts, Boston; and Galerie Herve Luxembourg. His paintings have been featured in a number of publications such as Hi-Fructose Magazine, New American Paintings, The Tulane Review, American Illustration, and MANiFEST International Drawing Annual. This August, we welcome photographer Matthew Moore to JTHAR as part of our year-round monthly residency. Matthew Moore is an assistant professor and coordinator of the Photography Program at Anne Arundel Community College in Arnold, Maryland. Matthew received a BFA degree in photography from the College for Creative Studies in Detroit in 2000. He earned an MFA degree in photography from Georgia State University in Atlanta in 2009. With a focus on themes of disappearance, evolution of photography and human-animal relationships, we look forward to what he will capture of Joshua Tree and the Mojave Desert. ​"In my photographs I try to record the present, while also making reference to the past and the future. I’m very interested in the question of how the landscape records and reveals history." 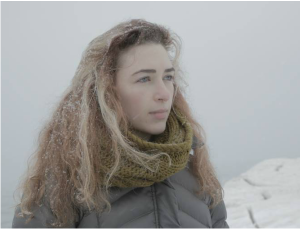 This April, we welcome filmmaker Laurel Cohen to JTHAR. Her films have screened at dozens of film festivals internationally, including San Francisco International Film Festival and Toronto International Film Festival KIDS. Her music videos have premiered on Interview Magazine, NPR, Rookie, and Bullett Magazine, and her video "Hourglass" for Lily and Madeleine was named a Top 10 Staff Pick by Paste Magazine. For her next film project, "Creature" during her residency, Cohen plans to build and sculpt ethereal "creatures" out of locally found brush, grasses, rocks and organically dyed fabrics of Joshua Tree. "My goal is to explore the link between the desert landscape's unique spacial perspectives and its historical association with spiritual revelation. 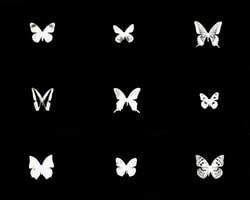 ​The result will be a timeless, strange, and magical scene." For the first time in 10 years, JTHAR is excited to announce a first -- our first musical artist resident. Los Angeles vocalist, songwriter, performer and musician Holland Greco will be joining us in Joshua Tree as our March recipient. Holland released her debut album, "Volume One," on Zappa Records in June 2014. It is a vinyl album consisting of two contrasting EPs showcasing the light and dark sides of her personality and musicality. Greco’s first major musical project, The Peak Show, was signed to Atlantic Records and the band had numerous licenses to major motion pictures, network and cable TV and continue to be heard and placed in those outlets today. Their debut album was produced by Mario Caldato, Jr. (Beastie Boys, Beck) & Front Row (Guadaloop, Momma Stud). It was mixed by 5 time Grammy Award winning mixer, Serban Ghenea. Greco has been a lead and featured vocalist in two widely seen and loved cartoons: "Scooby Doo and the Legend of the Vampire" with “Getaway, Yeah," and a Merrie Melody on The Looney Tunes Show “Yellow Bird." Greco also works as a singer, side musician, and hired gun for bands such as The Stripminers, Anais Mitchell’s Hadestown, The Quick Hellos, Scrote, Roxy King, Casino Royale and the Hearts & Starsjazz band. She is a proud member of BMI, NARAS and SAG-AFTRA. We are excited to see what will come of his JTHAR residency. "My practice has been, for me, a way of trying to understand the things that we lose, the things that we keep, and the emptiness and longing that gives rise to a search for something forgotten." This February we are excited to announce that artist and sculpter Adam Stacey has joined us in Joshua Tree as our latest monthly recipient. Stacey is an artist and educator, who received his Bachelor of Fine Arts from Colorado State University and his Master of Fine Arts from Alfred University in New York, where he studied sculpture, video and other processes. His site-specific artwork typically explores the relationship of digital media to memory and intimacy. ﻿In addition Stacey likes to explore the environment's effect on discarded objects. He has always been moved by abandoned places and discarded things saying that many ways objects and places are like us in that they carry a residue of past events that may have been forgotten. This is exactly why we thought Stacey and Joshua Tree were a perfect match, as there is nearly 800,000 acres of desert to explore. Stacey possesses a number of technical proficiencies with a variety of tools and processes. He also has experience as a teaching assistant and an instructor of sculpture. He has exhibited his large breadth of work throughout the United States from Colorado to New York City. Not limited to one medium, Stacey has created installation, films, photographs, paintings and sculptures, as well as metal working, wood working and digital working. "Seeing the Mojave desert, the famous Joshua Tree and unique cacti, and the national park has been on my inspiration list. I am looking forward to working in this environment over the next month. The JTHAR team has been wonderful already, very welcoming and providing a fantastic studio space and housing accommodations." The new year is off to a wonderful start. Our newest JTHAR recipient Kimberly Anderson Ritchie has recently arrived and already started to put paint to canvas. Ritchie’s curiosity, love, and respect for the natural environment has directed her artistic practice, which focuses on a response to the environment. Her main focus is producing artwork that brings attention to an array of environmental issues. This is exactly why we thought Ritchie and Joshua Tree were a perfect match, and why we are excited to have this incredible artist with us in the desert. 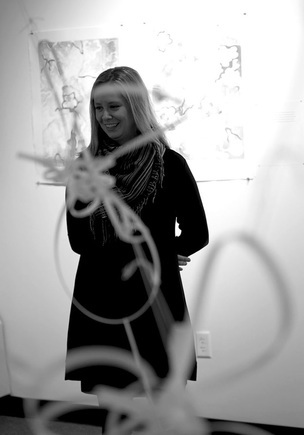 Ritchie has exhibited her work throughout the United States, attended artist residencies, participated in numerous printmaking portfolio exchanges, presented at conferences and is involved in University and community service. Currently, Ritchie is the coordinator of the Printmaking Program at Plymouth State University and teaches within the Printmaking Program as well as other classes within the Art Department.